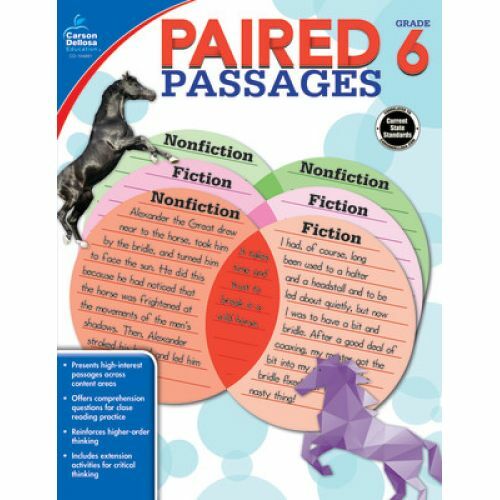 Improve reading comprehension skills with high-interest passages that meet the expectations of current state standards. 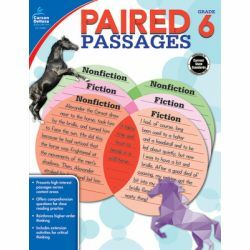 Paired Passages for grade 6 features compelling material that students compare and contrast so that they can integrate knowledge and ideas across multiple texts. Designed to keep young minds engaged, this series strengthens comprehension skills and students' ability to think critically.